When choosing a new kitchen for your home, choosing a worktop is one of the most important final decisions that can be made. Even if the rest of your kitchen is absolutely perfect, choosing a worktop that isn’t right for your kitchen can just make the whole room look wrong. Timber worktops add a beautiful timeless aspect to any kitchen. Along with being an incredibly strong and hard-wearing material, timber worktops will forever look timeless and elegant in a kitchen. They add a level of class that is almost un-achievable with any other material. To ensure that the rest of your kitchen is as perfect as your worktop, there are certain steps you can take to ensure that you will never want to change your kitchen again. If you have decided on having a painted kitchen, the colour you choose is one of the most important choices you can make for the room. Choosing a colour from the neutral spectrum is a way to ensure that you will forever love your kitchen as the colour will never go out of style. But colours don’t just have to be neutral to make a kitchen look beautiful, as rich, bolder colours can look incredible especially when combined with timber. 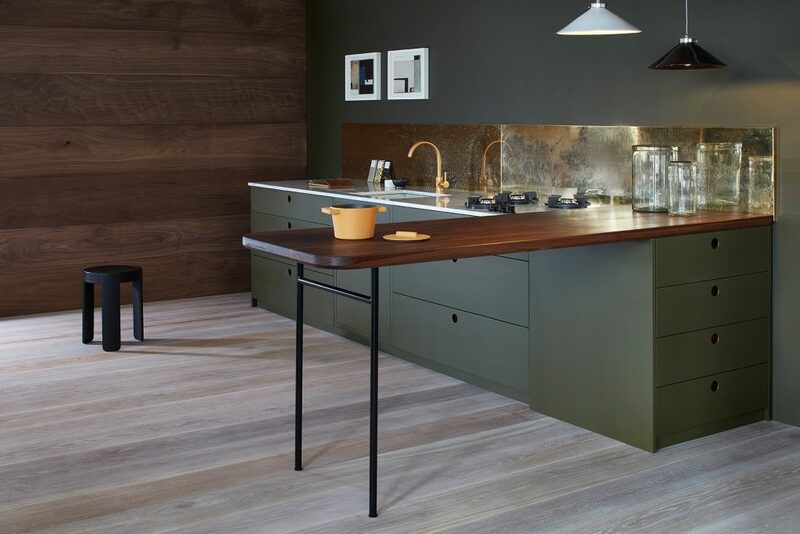 The Ladbroke Kitchen below is a stunning example of how combining bold colours and timber can create a beautifully sophisticated space that despite being contemporary, is still incredibly timeless. Along with choosing colour, if you’re having timber in your kitchen, you will need to decide what type you would like. Oak adds a beautiful warmth to a room, and makes it inviting and relaxing. 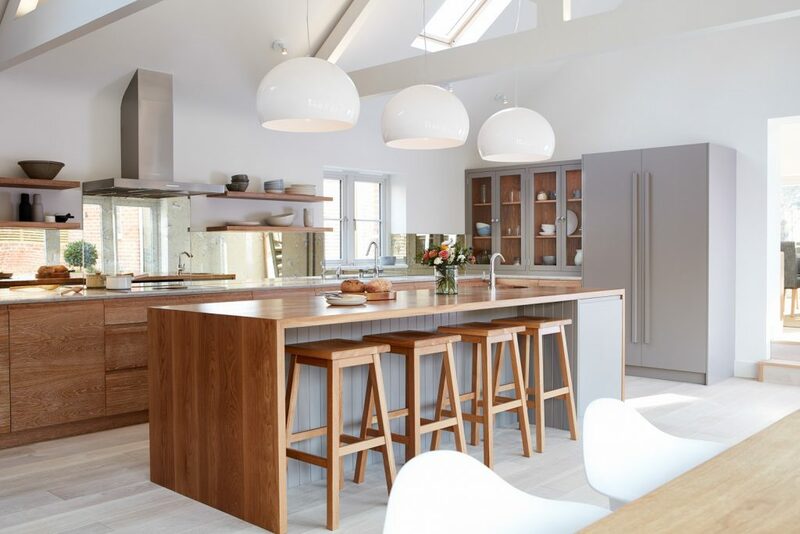 By adding a white wash to your oak it can soften it even further and add an almost contemporary vibe to what is a very traditional timber choice. Walnut has a very sophisticated vibe, and can make a room feel very refined and purposeful, working beautifully in either contemporary or classic kitchens. Used as worktops, timber is incredibly durable and adds a timeless classic feel to a kitchen, combining beautifully with painted cabinets. Exposed timber cabinet fronts are just as eye catching as a brightly coloured cabinet, and can even have a white-wash added to create a softer, modern look to your cabinets. The island is more than often the main feature within a kitchen. It is vital that the material used for this combines beautifully with the rest of your kitchen, but is also very durable as this is also likely to be the main area of the room for eating and socialising too. Even just a small injection of timber into this feature point, such as a work surface or panelling; will create a new element for the eye to be drawn to. By using more than one material on the island it also keeps it fresh and inviting, and helps to tie the whole kitchen together. Check out our Instagram Twitter and Facebook Page for more information and pictures!